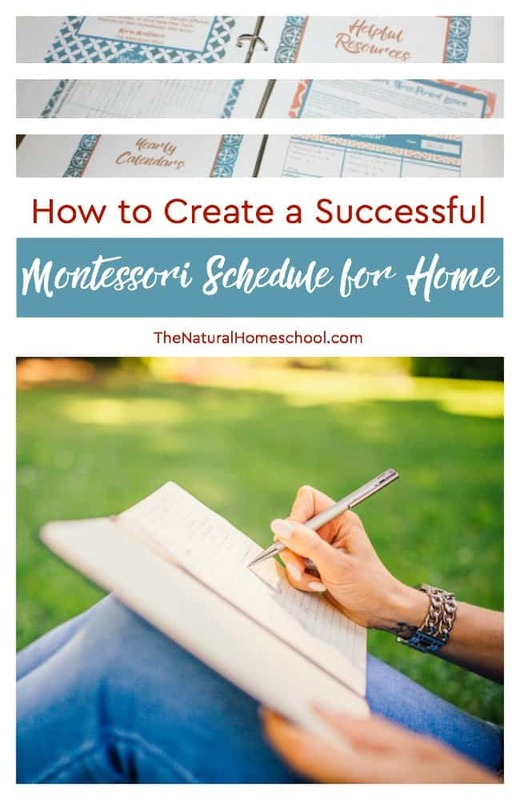 Let’s take a few minutes to think about how to create a successful Montessori schedule at home. Montessori at home can look different from a school Montessori environment. And you know what? That is ok! We are not able to keep up with the stricter Montessori how-to because of several factors, but we make a Montessori schedule for home work beautifully. We have done it successfully for 7 years! Our children are happy, normalized, independent and are lovers of learning. 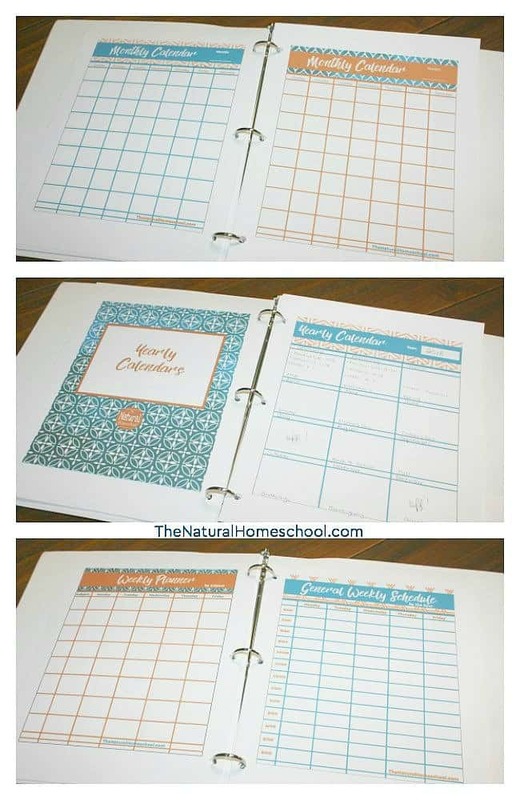 So let’s talk about how to create a successful Montessori schedule for home. Our problem is learning where to start, how to stay organized and how to keep it going for weeks, months and even years. One of the ways that I have found that I stay on top of things is by having schedules and charts. Yes! I have a planner! 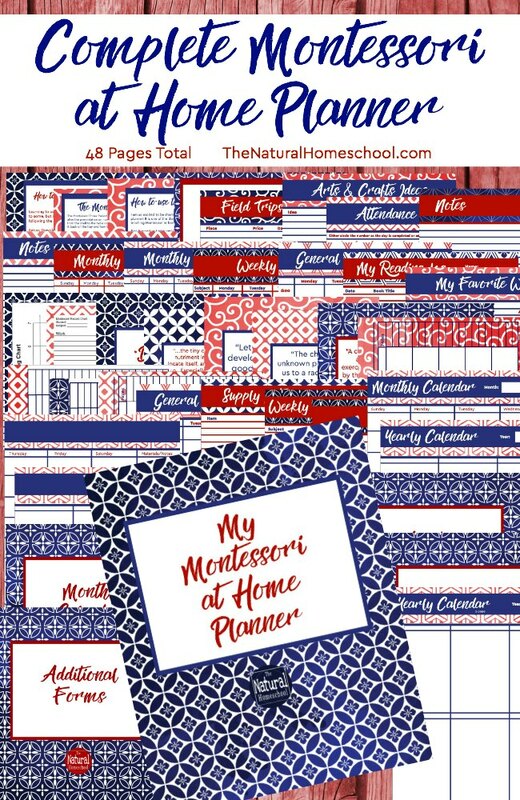 I have a Montessori at Home Planner! 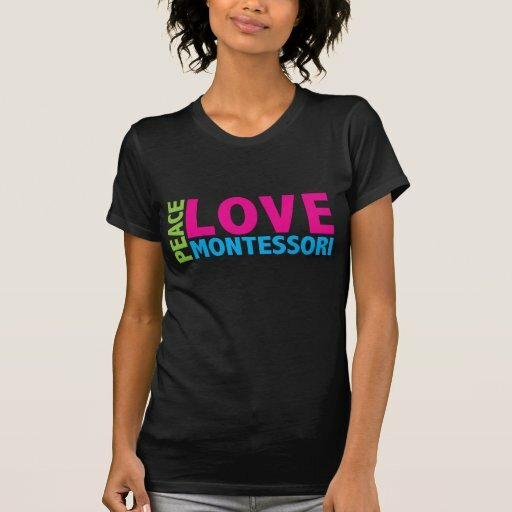 It keeps me sane and it keeps my kids learning wonderful Montessori lessons. Please remember to visit our resources hub for Montessori Curriculum 3-6 activities and lessons! 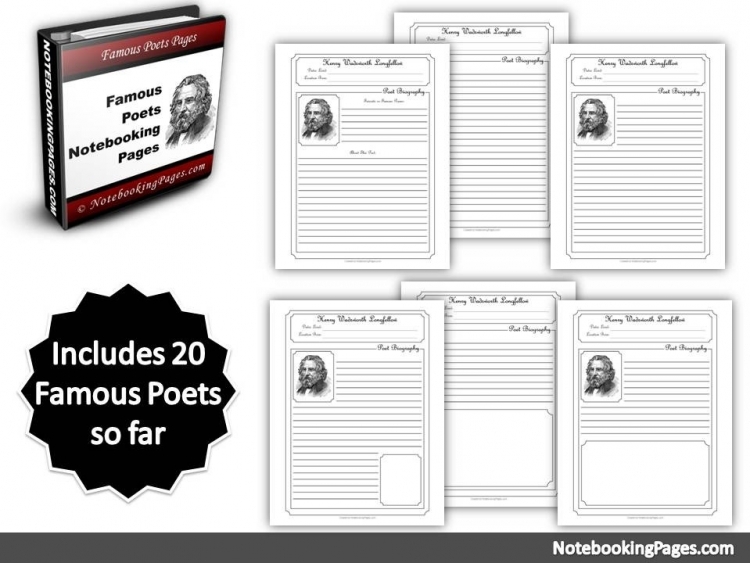 From the get-go, I want to recommend that you consider getting some of these wonderful books. You will be able to refer to them regularly when you have them at home and they will really propel your Montessori at home journey! 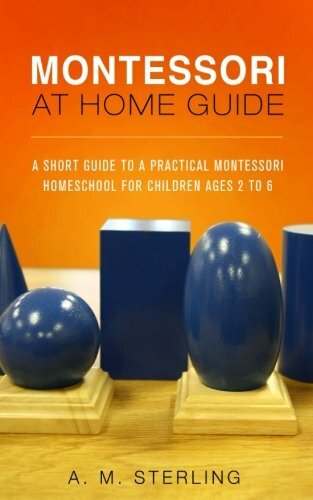 Are you ready to delve into scheduling your Montessori at home day? Why do we set schedules? 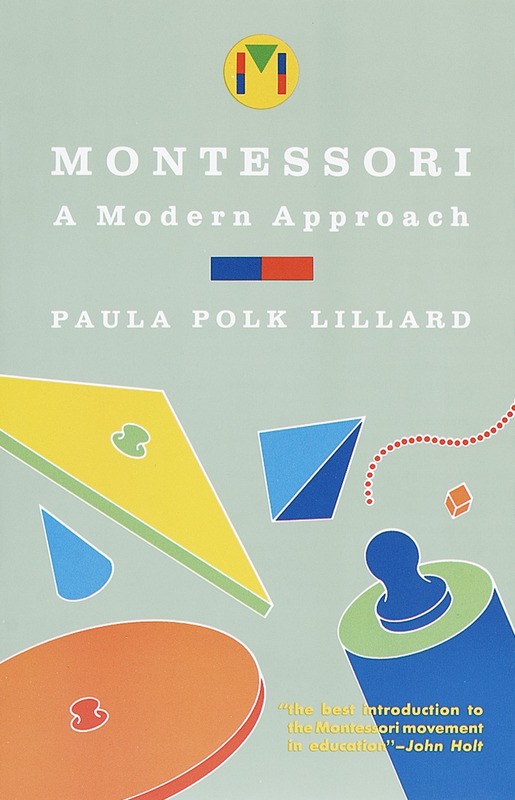 Why do we have to be that organized if the beauty of the Montessori Method is to sit back and observe? 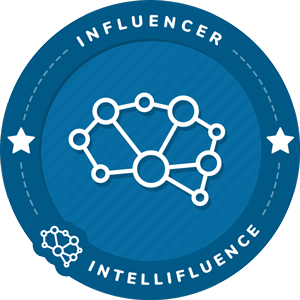 You will find out why in this post! 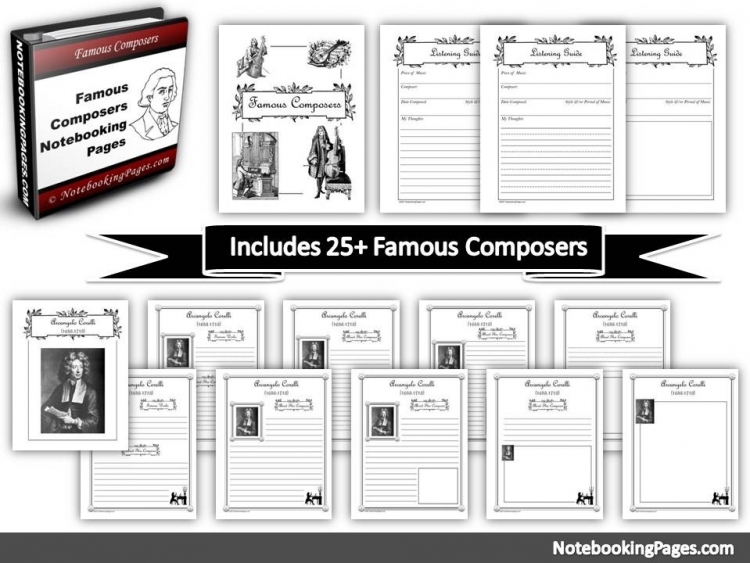 I want to share with you a great Montessori at home planner that will make your life so much easier. 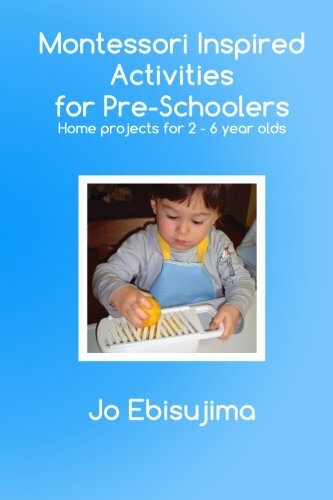 There are 48 pages that include a lot of information, forms and more that you will find helpful, whether you are a seasoned Montessorian or not. Montessori sometimes has to be different at home due to space restraints, due to differing homeschooling schedules, how much Montessori you actually do at home and so much more! Imagine having to have a gigantic room with infinite number of shelves to set up all of the beautiful Montessori works to be on display at all times. Wow! What a dream, right? Well, this is how many Montessori environments are in a school setting. 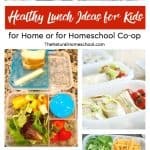 But at home, many times, we have a small shelf or two and homeschool at the dining room table, right? This scenario, as ideal as it may be, isn’t very feasible for us, homeschoolers. So we adjust because we love Montessori at home. Getting used to the idea that Montessori won’t look the same as it does in all of the beautiful and extremely large environments we see or visit, will make things easier for us. In the Montessori at Home Planner, you want to use the chart where you can sketch your room space and shelf space to get a bird’s eye view of what you have to work with. I actually suggest that you print a copy of this chart for every 2 month or for however often you want to switch your materials around. 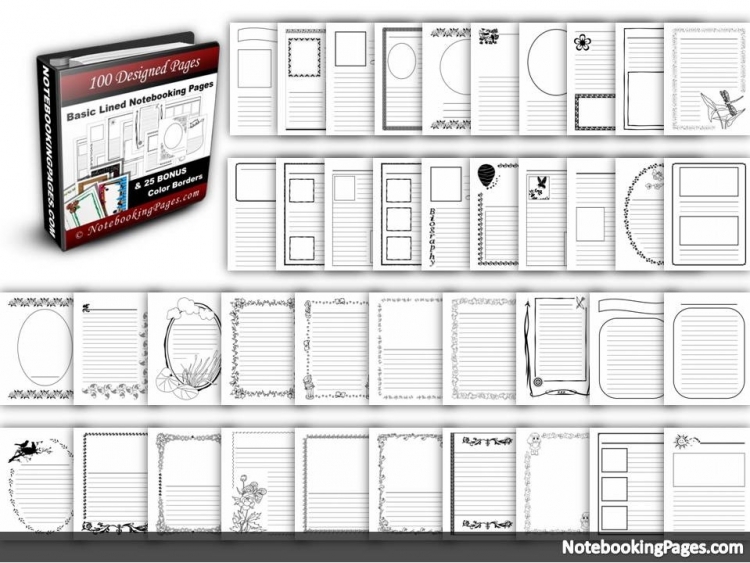 Sketch your space and then make notes of where your works will be placed. This view will also give you a good visual at a glance that you are covering as many subjects as you can. And when you place the charts side by side, it’ll be easier for you to determine seasonal works, rotating works and complimentary topics. Isn’t that awesome?! 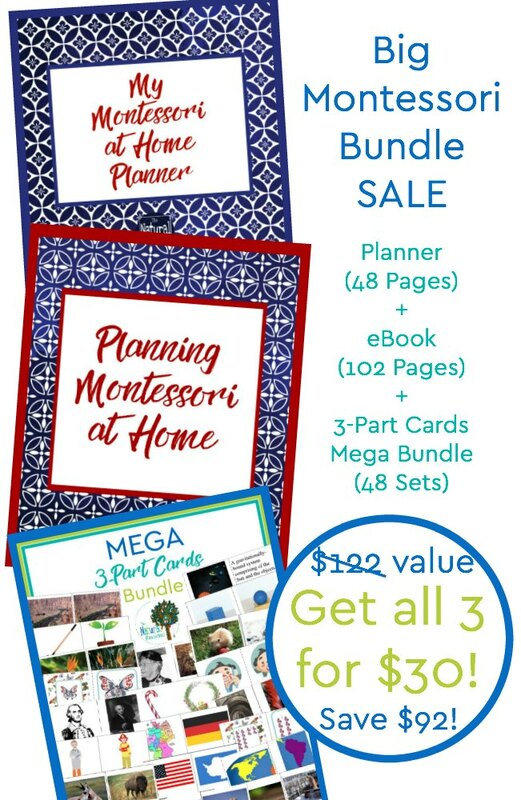 In the Montessori at Home Planner, we have several weekly, monthly and yearly calendars and charts for parents to pick and choose what fits their needs best. I like to use the weekly calendar/schedule for our Montessori works. One way you can follow the Montessori Method is to sit back and let your children explore all of the works you have set out for them. This is such a fascinating experience to be a part of! If you haven’t experienced this yet, I highly recommend that you do try it and get comfortable with it. But if you are doing Montessori at home and you have a limited space or a limited schedule, don’t feel bad! Try your best! Just try to fit in at least one Montessori work per day. This will help children be normalized faster. 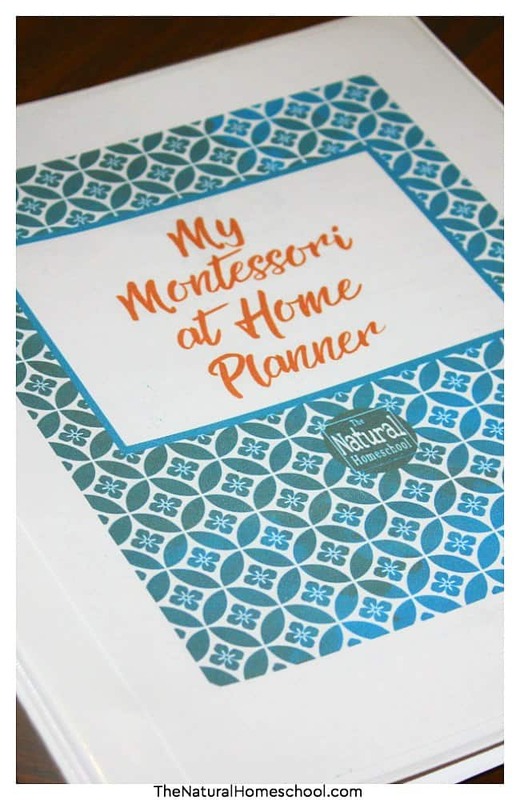 Use the Montessori at Home Planner to record what your children have learned or have worked on (hindsight) as opposed to planning things yourself. 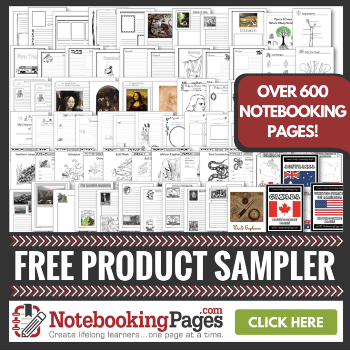 Keep notes on what they enjoy the most and how they are progressing at their own pace. 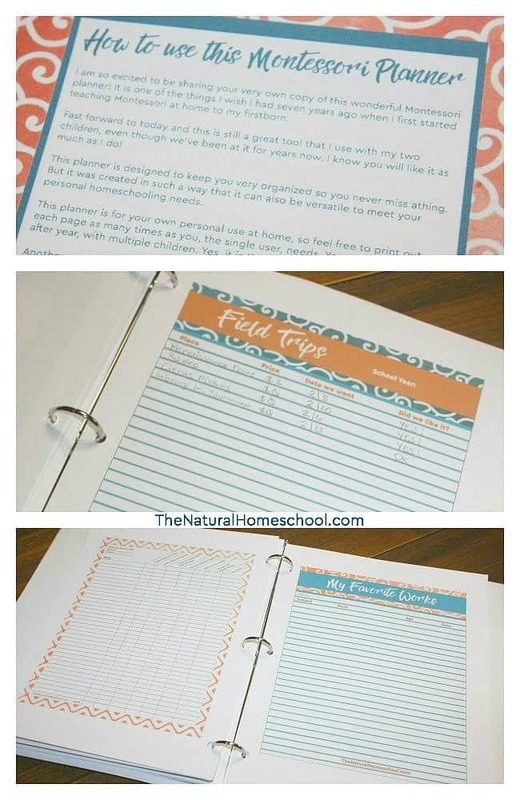 If you don’t know where to start, the Montessori at Home Planner also includes a free Montessori curriculum list that will help you know which 10 topics to start working on with your child for each subject. 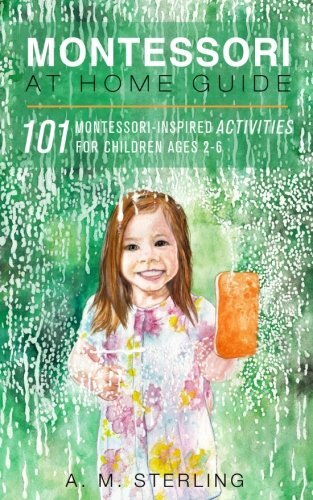 If you want to jump into a couple of subjects right away, be sure to include one Montessori Sensorial wok and one Montessori Practical Life work daily. 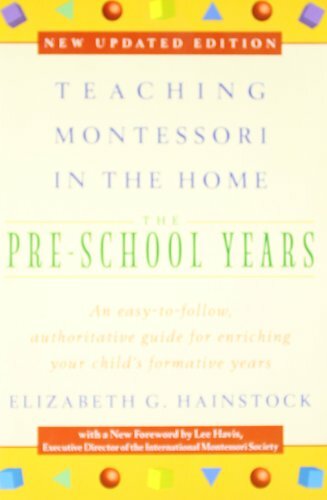 Sensorial and Practical Life are two of the unique pillars that the Montessori Method espouses and we should, too. They are very special subjects that aren’t found that are covered in other preschools or early childhood institutions. This is why I recommend focusing on them daily. 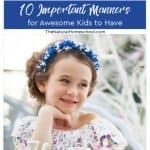 If you’re going to go about this Montessori at Home thing right, you need to focus on the Sensitive Periods that your children are in at the time you check. And I should point out to check often, like once a month or so. In the Montessori at Home Planner, we have a very easy-to-follow chart on what the Sensitive Periods are and the timetable for each. I think you will find it helpful. 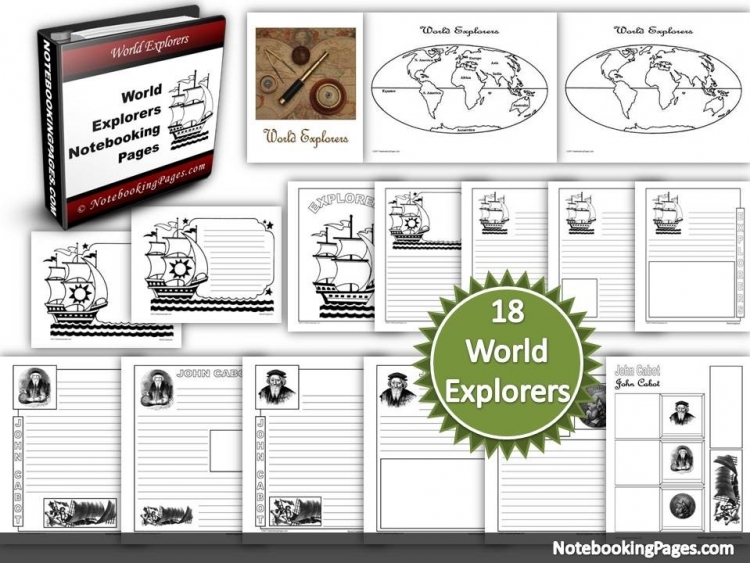 You can cycle through subjects and topics as you see your child needs. For example, you can set out works to last weeks until the child has mastered them or you can leave them in but add an extension for the activities. Let’s use the Montessori Brown Stair extensions or the Montessori subtraction worksheets as great examples. You can introduce the Brown Stair until that has been mastered and then add expansion for it until you run out of extensions. With subtraction, you do the presentation and then add extensions for the same Montessori work. It is going several steps ahead at once instead of doing one activity and moving onto the next thing. 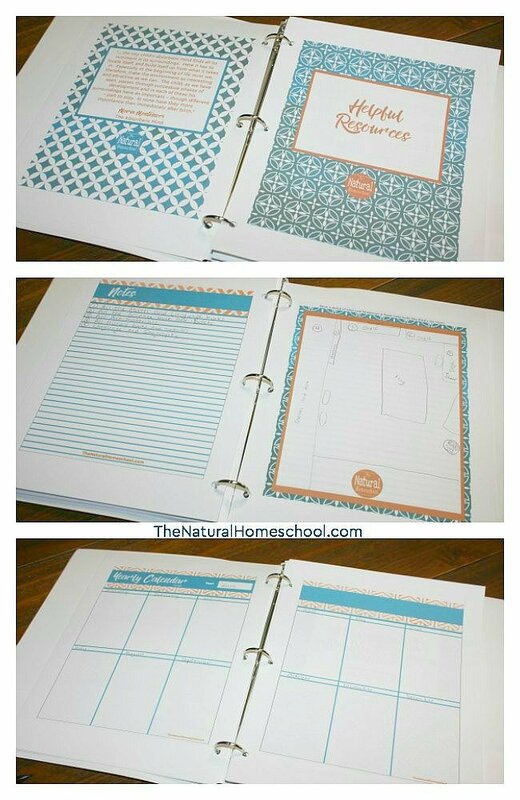 Take a look at what is included in My Montessori at Home Planner! Thank you for visiting our Montessori Schedule for Home post! I hope you have found these first 3 tips helpful! Please remember that this is PART 1. The other 4 tips are in PART 2. Both lists put together will give you a great bigger idea on the entire schedule! 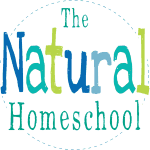 CLICK HERE to go to Montessori Schedule for Home PART 2!